So what's up with those freezing consoles? 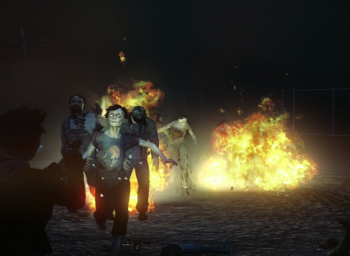 State of Decay, the zombie apocalypse sandbox title that has enjoyed tremendous sales since launch but has also endured update woes, has once again stumbled upon a problem that is proving tricky to solve. The second update seems to have spawned a bug in which the game freezes, or gets stuck on an eternal loading screen. Developer Undead Labs is asking for players affected by this bug to get in touch, as without their input the problem may prove impossible to solve. "It's happening to so few people that we can't get a solid read on what's going on," Undead Labs Tweets. Undead Labs needs to know the exact model and date of manufacture of the affected players' Xbox console, as well as how much space remains on the hard drive and internal memory. At the moment it would seem the bug is causing random crashes, so Undead Labs is looking for any kind of commonality in the affected games. "I've been reading this post, pulling my hair out and contacting MS," says Undead Labs. "If this is something we can fix, we would love to."